We make Business Software, Mobile Application, Website, Robots & A.I. 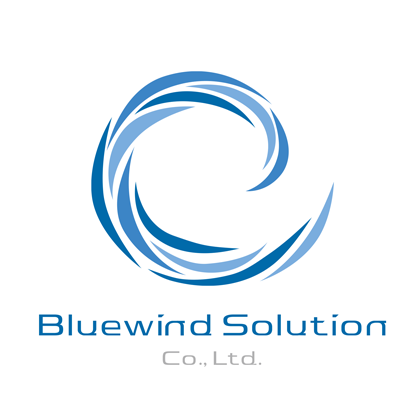 "we are the wind beneath your wings"
Bluewind Solution Co., Ltd. was found in 2012, our aim is to deliver high quality of products and services to enhance the success of your business and move forward together by our motto "we are the wind beneath your wings". Our company contains an outstanding group of developers. Over the years we have gained the trust of many well-known companies. Thus, we believe we can provide the best results in area of Computer Software and I.T. fields. If you are getting stuck and looking for something awesome, let us hear from you! We run our business 24 hours, we believe we can support our partners and clients with our best, because we understand how important of our partners and clients business are. We develop various type of technology products, we build with pride and confident that our products will be the most helpful with our clients. We also understand how agile and how fast business grow, and that's why, all our products has support implementation that be able to upgrade it anywhere and anytime. To enhance the management and work flow of your company resource. Eliminate the repetitive tasks and increasing work performance. One of the most effective ways to reach your target today, we can make your customers easy to get into your products and services on Android, iOS, and Windows smartphone. Enhance competitiveness of your business, help you to disseminate information, products and services 24 hours a day to your audience over the worldwide. We are specialize with over 30 programming languages to develop any Windows and Mac applications, for your business. Offer new ideas, innovate new products, create architectural intelligence in order to make you reach your business goal. Optimize your work result, get lid of work redundancy and increase system performance to make a better way of work. Eliminate the problem in the future by the perfect & powerful system architecture design that meet your required and match with computer fields. Our team will do everything, from an idea and concept, design and development, testing and implementation, until its become realization. We work as agile (actually we work with 3 techniques called agile, scrum, and kanban) and love to support our customer with our experience and innovations. All our projects is our pride, so we gladly support our projects until the ends of it's life cycle. Here are some of our best partners and most valuable clients.